Regarding the novel’s title, one wonders why beautyful and not beautiful? It seems probable that this has been a slip in the English spelling, which is not uncommon in Africa. In fact, in Ghana the main language is Twi and English is not as fluent as one could expect. It would not be unreasonable to say that the title sounds messianic and hopeful, despite the reigning disillusion: ‘The Beautyful ones are not yet born‘, in other words, the best is yet to come. Picking up on the term “hopeful” one could surmise that in the end, the man, or honesty, “wins”. In some ways, the man has indeed won by sticking to his principles: life goes on for him, while many corrupt and ambitious officials end up in a bad way. Moreover, we know that Koomson flees Ghana on a boat. It is precisely this boat that is idealised by Oyo and her mother as an ideal means of corruption. Thus, Koomson promises the boat will be theirs, including a crew on board at their service. But life takes them down another path, and the naïve women never set foot on the boat, which causes them great disappointment and acts as a powerful reality check. Despite the frustration, Oyo seems to reconsider her values and in the end she is happy and proud of her husband, whom she loves, for the way he is, while the man’s sister-in-law is unable to forgive him for the way that he is. This final bond justifies the marriage, which had previously seemed increasingly unsustainable given the couple’s clash of personalities and interests. But deep down they love each other, and that is what matters. Love is triumphant and Oyo’s materialism eventually succumbs to the ‘humanist theories’. The novel ends with a coup d’état against Nkrumah’s disappointing socialist government (much criticized in the novel). Of course, the man does not support the coup’s perpetrators, unlike most of his fellow citizens, who automatically switch sides. In the end, the man comprehends that he will never find any answers to his many doubts, from political doubts, to philosophical, existentialist and surrealist doubts. Not even Teacher can solve his uncertainties. That is just the way life is. Bearing that in mind, he heads back home, to continue with his everyday life. On his way back home, he crosses paths with a lorry whose driver greets him. A second later, he manages to get a glimpse of the back of the lorry, where he reads the caption, ‘The Beautyful ones are not yet born’. In my opinion, this is the kind of novel that grows on you over time, once you’ve read it. 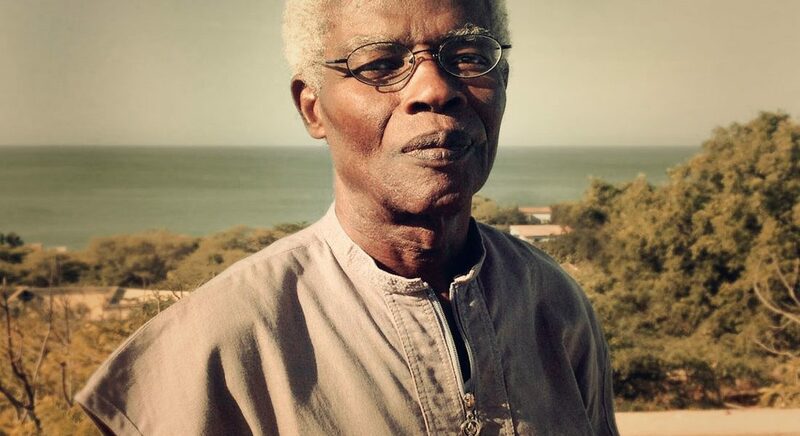 Indeed, despite Ayi Kwei Armah’s intelligent writing, his depth and almost Proustian sensitivity, his tact and ability to activate your five senses, the Ghanaian writer succumbs to a tiring, slow pace (the storytelling only speeds up during the coup d’état). The excessive descriptions against the backdrop of pessimism drive the reader to despair in some places. I also think the book comes across as slow in many parts because the author focuses almost solely upon the main character, and quite often on his repetitive strolls, significantly slowing down the narrative. For many, this book could be considered to be beautiful, introspective and deeply honourable. It comes from the guts. Additionally, this novel unmasks and mirrors African mentality rather well, as well as the overall situation on the African continent, especially in Ghana. It’s a mindset that welcomes corruption as an inherent part of popular culture, an almost illicit path to accomplish the status most wish to reach: either a millionaire or a powerful person. Only a minority of honest people refuse to sell themselves to corruption and a lack of values, at the cost of living in sadness and disenchantment, knowingly facing the never-ending question forever: ‘to steal, or not to steal’. Corruption is so rife, that sometimes people don’t steal, not because they believe it to be wrong, but because they don’t have the guts to and are therefore considered cowards. With regard to the protagonist, the novel goes as far as questioning the man’s ability to control himself, considering that he would be admired by everyone, make his family proud and even be secretly happy for a brief moment if he could do what everyone asked of him and lose control of himself and behave like someone he was not and never would be. Nevertheless, the man resists temptation. After all, the novel also states that it was not the things themselves, but the way to get them, that led to much confusion in the soul. Well I think it’s quite derogatory to suggest that the title was Spelt wrongly because it was written by an African who in your defense have a poor understanding of English because of the inference of their native language. Well it’s quite ironical that the author writes so well without a mistake in the entire narrative of the book. If you did literature in school you would know the term poetic licence. I’m certain the use of beautyful suggests a deeper meaning. I think there is a misunderstanding here. I never suggested that beautyful was a mistake from Ayi Kwei (who of course is a very acknowledgeable writer) but a reflection of common grammar mistakes in English that you can observe in some African countries that don’t have the English as the main language as Ghana. Actually, the writer explained in the book that the main character saw the word ‘beatyful’ in the back of some truck. Of course it has a deep meaning, the orthographic mistake is not the core of the issue.